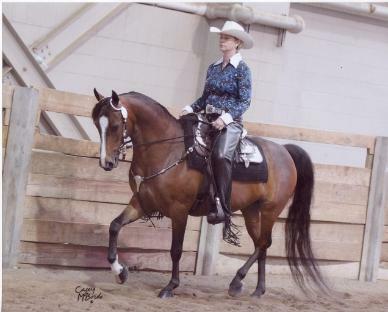 Dawn believes that a well bred, conformationally correct mare that can perform in the ring is the most important asset to a quality breeding program. Therefore, a majoririty of her show horses are mares. Her mares are very people oriented in your face friendly dispostions. Currently we have two young mares out showing Ancan True Spirit and Sizzle In Brass and a lovely crème filly. Dora is co-owned by my mother Joyce Tofil. Dora was bred by Anne Wyalnd of Ancan Morgans in Michigan. She has a great pedigree and has impeccable manners, sensibility, and upheadedness. Dora does everything! 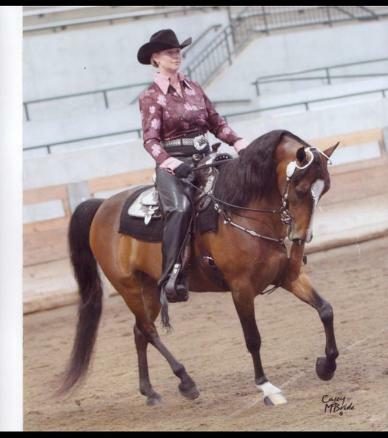 She has been shown her in halter, western pleasure, western horsemanship, saddleseat equiation and pleasure, huntseat pleasure, huntseat eq, trail, showmanship by youth, & adults. Dora and Dawn won many firsts and even highpoint awards. She was also shown by a beginner walk trot rider (who got a first on Dora at her first show ever!) 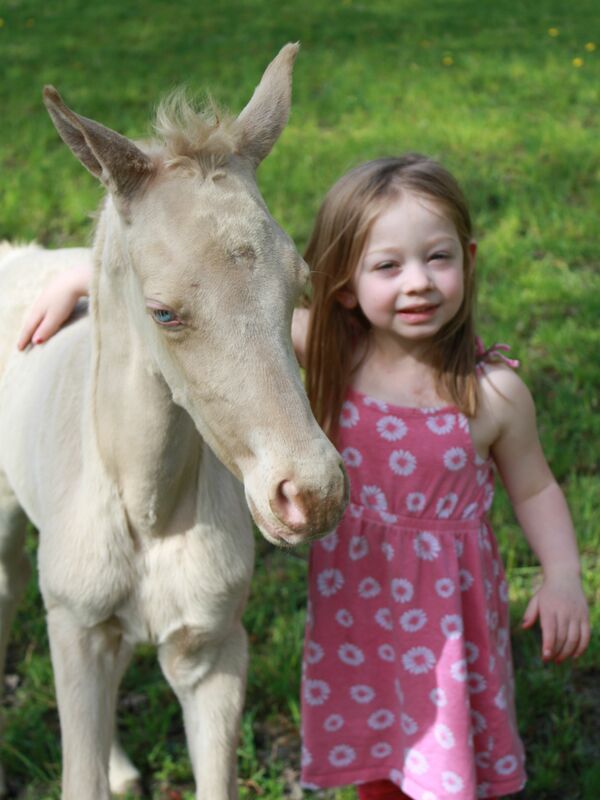 Dora was also shown by Dawn's two children in leadline and peewee showmanship, peewee trail and costume. This little mare does it all with her ears forward ready to show. Currently still for sale but being leased while still being trained by Dawn. PRICED $10,000. Sizzle is by far one of the nicest colorful morgan mares currently showing. NOW a proven amazing broodmare giving birth to miracle twins! One crème filly and one smokey black colt! Check out her facebook page: Westport Morgan Twins. She is not only bred well with sires such as MEMC Tequila Cuervo, Wynne Commotion, Salem Command and Serenity Flight Time. But she herself is the finest quality, plus she has size, movement, elegance and type that make her breath taking to watch. Her conformational correctness has earned her several in hand wins and championships. Most to her honor she is undeated as the 2006 & 2007 Champion of Chamions at the Gold Coast Futurity in Ludington Michigan. 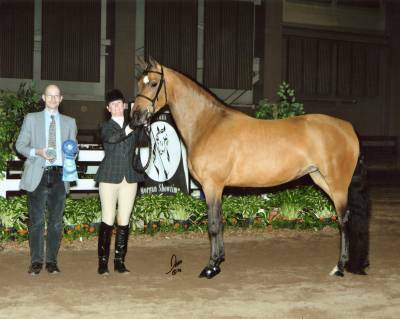 In 2008 she debuted at the Morgan Showtime and handled by Hevonen Farm she earned first in the Sport Horse In Hand class. 2012 Michigan All Morgan Dressage 2nd placings with scores 76 78 80 in walk trot test a, b, c.
Sizzle has done it all but not is being trained in dressage and will be shown in 2014. A proven broodmare, having rare colorful twin foals she was an excellent mother. She is my personal riding horse and is my best friend. Since the birth of the twins, She does have symptoms of ulcers and need to be on Tribute Kalm and Ezay and GUT. When on this the has no problems. I have realized I cant replace her and she is no longer for sale. 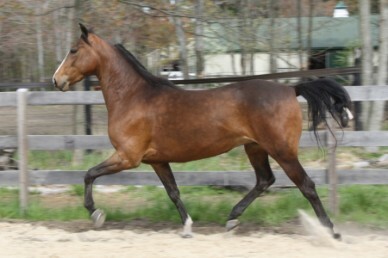 For sale $8000.00 Sparkle will be big like her mother and sure appears to be a future sport horse! She is very friendly and quick to pick up on learning things. She clips, ties and stands for trim, just started on ground work and light lounging.